This was as close as we got to a tree fruit crop this year. 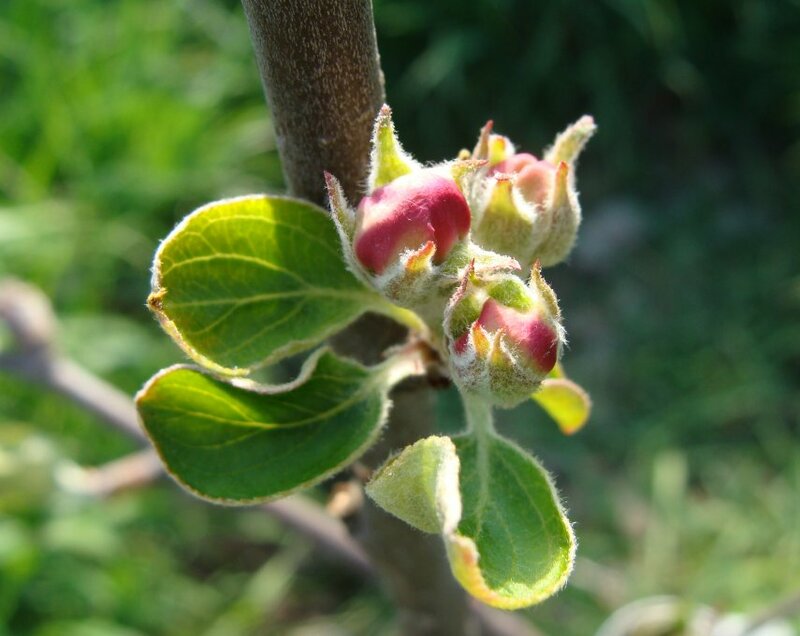 The lack of frost in April meant that the orchard trees were two weeks in advance of their usual flowering time. I took the picture of these apple blossoms on 30 April. On 11 May the temperature dipped to -1.7°C/28.9°F and we lost all of our nascent fruit apart from the cherries. 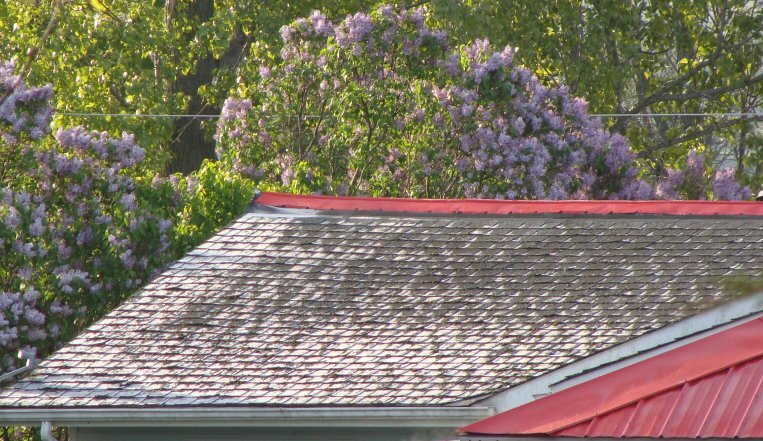 I even took a picture of the frost on our neighbour's roof that morning, with the early lilac flowers behind it, little realising the damage it had done. There will be no apricots, plums, greengages, apples or pears this year. And we're not the only ones: I noticed that the orchard where we bought the trees has had to cancel their heirloom apple festival this year as their apple crop has been severely limited by the same frost. It's been a bad year all round for our little orchard - three of the apple trees didn't survive the winter: Pumpkin Sweet, Fireside and Duchess. I console myself with the thought that our remaining young trees can put their energy into new growth and increasing their strength for next year.